This tip will change your outlook on appetizers forever. Seriously, it’s that good. 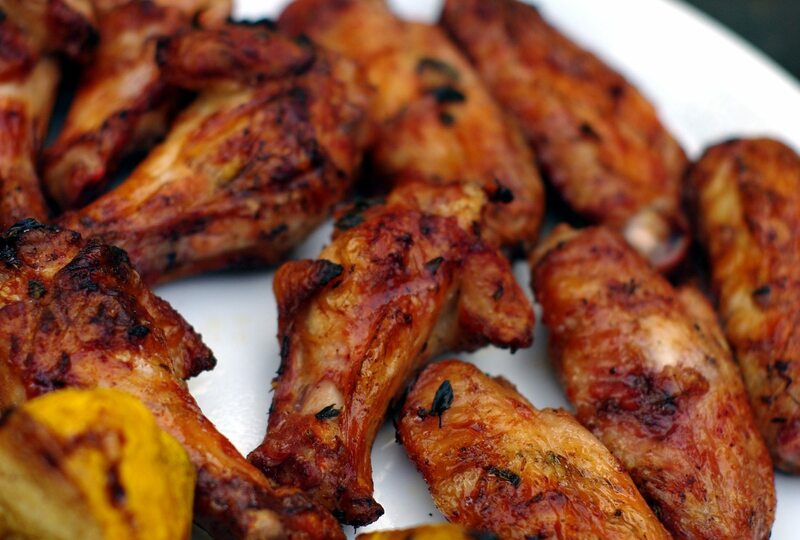 Eating chicken wings in public can be pretty awful. They’re sticky and shaped awkwardly. They require you to use your hands and teeth—no utensils allowed—which means you’re constantly worrying about getting buffalo sauce on your clothes, your face and other random objects in close proximity to your plate. Actor B.D. Wong will change all of that for you. Best known for his roles in “Jurassic Park” and “Jurassic World,” Wong recently did an interview with GQ. 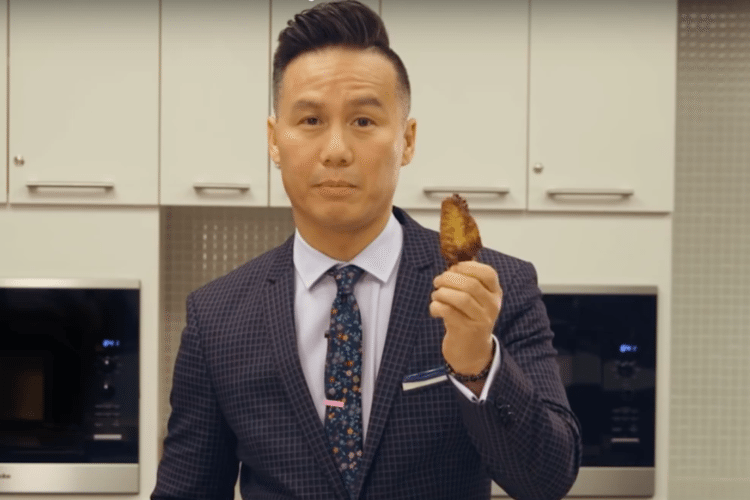 As a bonus, the magazine published a YouTube video of Wong demonstrating his preferred method for eating chicken wings. Impeccably dressed in a pinstripe suit, Wong says to hold the chicken wing like a video game controller, with one end in each hand. Next, he recommends twisting the chicken wing back and forth until you feel the cartilage break. Remove the skinnier of the two bones in the wing. Not a drop of sauce or grease lands on Wong’s suit. He’s made to look even more suave by the jazz piano music playing in the background of the video. We’re pretty impressed by his tutorial. It seems other YouTube viewers were as well. “I’ve never thought of that. That part always gives me trouble,” one man wrote.